You can use a call forwarding virtual number to ensure that your main phone number always rings to your main office, no matter where your main office may be located in the world. For example, if you have a business in Hong Kong but later move off the island, you can convert your previous Hong Kong number and continue to receive phone calls from your old Hong Kong phone number. That new Hong Kong number will then redirect calls from your old Hong Kong number to any phone number worldwide. That’s how to keep your old phone number intact and working. Simply forward your old phone number to a new virtual number that redirects calls internationally. Most local phone companies of the world will not forward your calls to a number outside of the subscribers country. But aitelephone’s strategy enables keeping your old phone number working and sending you the calls. Whether you start with a virtual call forwarding local number or convert an existing line, using call forwarding ensures that your previous advertising investments continue to pay off. 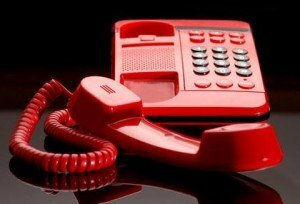 Call forwarding can also eliminates the costs associated with printing new business cards, letterhead, and signs because your phone number will always ring to your designated line with a virtual call forwarding number. 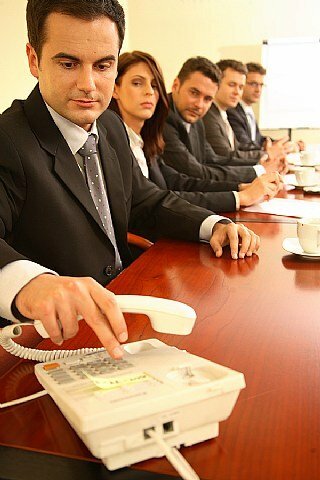 Conference call service is not a new technology. It has evolved over many years and become better. In the beginning, the services of an operator were required to host a conference call. But as technology developed, the human element was reduced to a minimum. Conference call service has become fully automated, unless an operator is needed. It requires entering just a Toll Free phone number and an access code for the host and participants to be instantly connected together. This collaboration tool has evolved into a very useful service for conference calls where the participants are located inside the U.S.. It is called conference call USA. For ‘international conference calls‘ it’s the International Conference Call plan. The call quality has also seen tremendous improvements with the onset of the latest technologies. You can talk to a person present on the other side of the world and you will not notice any difference. With crystal clear sound and highly reliable connections, you can instantly connect to any part of the world without any issues. Innovations such as fiber optic cables and voice transmissions at very high speeds have also contributed in this communications revolution. Making a conference call USA is easy. It’s automated so no operator is needed to initiate conference calls. A toll-free number is provided to all the attendees, with the scheduled time set by the host of the call. At the scheduled time, each member dials the toll-free number and enters the passcode at the voice prompt. Conference call service is a simple and safe process which is being used by companies all across the world. Since there are no monthly fees, this makes it very cost effective as you will pay for your actual usage with no monthly fees or activation fees and no minimum monthly usage requirement. Learn more. For companies who want to expand their presence in different countries, it is important for them to have an international call forwarding service. By providing a customer with a local number within his or her country, you will create a local phone presence and will allow your customers to interact with you easily. After all, what consumer or future customer wants to buy from a company that requires making an ‘international call’ to ask a question or order a product? That is why it is a superior sales strategy to offer potential or existing customers a ‘local’ access number in their country. That local phone number will then redirect their call to you in ‘any’ country and to any type of phone, mobile or landline. For example, your company could be located in Singapore but you have customers in the UK. You can own a UK local number and the calls would be redirected to your phone in Singapore (or any country). By having call forwarding through international toll free or local numbers for each country, you can easily create a local presence. Customers will also be happy to see a number which looks familiar to them, for example if you owned a UK virtual number the dialing syntax would be exactly the same as any other UK local number. Using an international call forwarding facility does not require on your part to have a local office or local employees to take calls. What it requires is that all the calls are redirected to a number of your choice. This redirecting to a number can be in any form – a cell phone, voice mail, office phone or a call center even fax machine, VoIP or PBX. Included with your call forwarding number will be a private online account login facility which allows you to change the ‘ring to’ number to which all calls are redirected in the event you need to change it. For example, change it from a landline in the daytime to a mobile phone in the evening. The changes occur in real-time. The process is very simple – when a customer dials a local international virtual number, his call is automatically redirected to a number which you have designated to receive such calls. The caller ID is also displayed and the caller can hear a local ring tone instead of a ring tone of the ‘ring to’ country. But there are some complications also in this which you will have to overcome, such as linguistic and time differences. 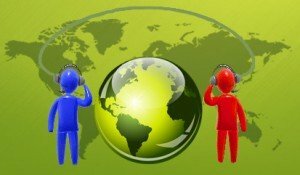 Your call center may be present on the other side of the world, receiving the calls at night at your ‘ring to’ number when it may be daytime on in the callers time zone. Also, calls could be handled by operators who speak different languages. Still, having an international virtual call forwarding number is much cheaper than maintaining a brick and mortar location in another country. Canada Call conferencing is a specialized Canada/USA Toll Free conference call plan that has streamlined the flow of communication for Canadian companies like never before. It has provided Canadian enterprises with a very convenient way of collaborating with their associates and customers located within Canada and/or the USA. One important feature is cost. This Canada service is priced far below the Canada national services for Toll Free call conferencing. Learn more. Hosting a business meeting utilizing a Canada conference call has also resulted in huge savings in terms of money and time for Canadian enterprises of all sizes. 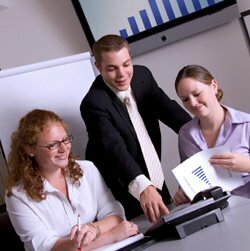 One of the major benefits is that the conferees can be located in Canada OR the U.S.
Hosting a conference call works well not only for internal meetings but also with existing clients, business partners, investors, marketing, negotiating business transactions, etc, through various exciting features of conference call Canada. Audio conference calls also ensure that important decisions are instantly communicated to all the concerned, whatever part of Canada they may be located in. This is also a very cost-effective way to train key personnel located in different locales regarding policy changes and new product announcements for sales staff and support people. Due to crystal clear sound quality and reliability, the ‘Canada conference call‘ is a painless strategy for collaboration with geographically diverse attendees. 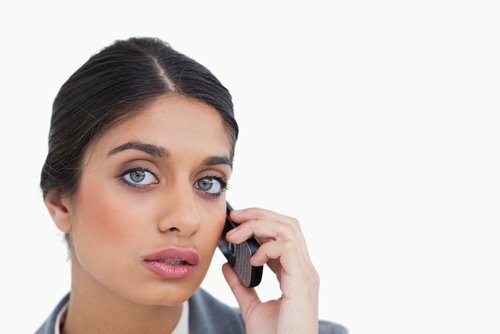 Conference calls can be recorded for future reference via an MP3 file, important decisions and commitments made or agreed to can be recorded. Conference call Canada has become a very important tool in modern business communication which every company has access to and can benefit from. If you have conference call participants in other countries beyond Canada and the US, you can have toll-free access in 105 countries using the Expanded Global Conference Call Plan located here. Canada toll-free rates on this plan, 2.6¢ per minute. For organizations who need to collaborate with customers, associates or vendors that are located in geographically diverse locations worldwide, international conference calling has come as a blessing. Not only does it allow a company executive to communicate with participants located in far off places, but it also allows them to interact in a very cost effective way. In addition to the international conference call plan, if the host and the participants are located in Canada and the USA, the conference call user can utilize a specialized Canada conference call plan. 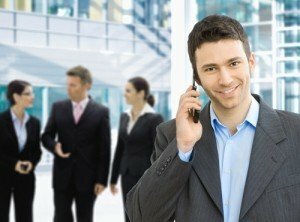 From the economic side, the conference call Canada plan is a highly discounted, welcome money saving alternative compared to the local Canadian phone company offerings. It has become the preferred way of conducting conference calls between the US and Canada or solely within Canada or the USA. The plan provides Toll Free access from both Canada and USA including all provinces in Canada plus Alaska, Hawaii and the US Virgin Islands. If the option of web conferencing desired and used along with the audio portion, compared to earlier times when conference calling was a painful experience, it is now very easy. It is done through your desktop or laptop, with no software download required. It works in conjunction with your internet browser. The web conference call is also very cost effective as it operates through your existing internet connection. You can easily transfer business documents, show slides and presentations with graphs and pictures, videos, etc just like a normal face to face meeting. The participants can talk, see and hear everything clearly even if they are present in different countries. In summary, along with the major economic relief and high quality connections, this has made conference call Canada very popular among Canadian enterprises and organizations. It is obviously a much cheaper way to conduct business meetings than normal face to face meetings. Customers can also record all Canada conference call meetings FREE of charge. Use the recordings for future reference or as proof for business commitments agreed upon between business associates. Without virtual number services, businesses can imagine the cost of setting-up local offices worldwide. Businesses that are growing have satellite branches spread across the world. The reason behind this is the global open business policies and the technological advancements that have allowed businesses to go beyond their national boundaries and acquire new territories without much of a hitch. But going global is not as easy as it seems because it becomes an over burdening task for businesses to manage their new territory operations and cater to the clients present there. It becomes a stiff task for businesses with multiple branches to co-ordinate their business operation along with newly acquired overseas territories and clients. 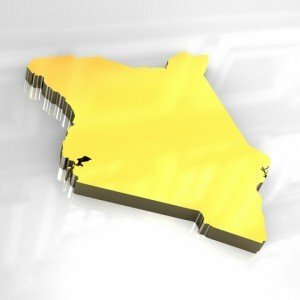 But thanks to the technical breakthroughs that have equipped businesses with effective tools like virtual phone number services to manage and carry-out their overseas operations with utmost ease. What these services have done is that they have brought business and client on a uniform platform where both of them can associate well. Gone are the days when businesses did not have the ability to stay connected with their clients. But talking about today, clients prefer to deal with those businesses which provide effective customer services and offer easy access. What these virtual call forwarding phone services have done is that they have reduced the extra burden of businesses in carrying out their operation in overseas territories. With these services businesses need not to set-up their local offices in countries where they operate or deals in. Basically with virtual number service a business opts for a specific number in accordance with the dialing convention of the country which the business is targeting. With that particular virtual number the client of that country can easily access the business. The biggest advantage of virtual number service is that whenever the client makes a call he is not charged with premium international rates and that creates a sense in the mind of the client that the business has a local presence. This further helps business in reducing the need for setting-up local offices because with these services they can manage their clients well and provide them easy access to converse. Without virtual number services, businesses can imagine the cost of setting-up local offices worldwide. This is the reason why more and more businesses are turning their heads towards these services as they are cost-effective and convenient. Whether you have your business or just want to stay in touch with your beloved ones you always need a medium through which you can contact them as and when you want. And there are mediums that we have in the present times that are helping people to take some time out of their busy work schedule to converse with people who matters to them. If we talk about the past it was beyond imagination for people to even think of getting in touch with people who live far away. The reason was the cost and not enough resources that can provide people with mediums to carry out their conversation. Not only was it a problem for individuals but was a great task for businesses to cater to their clients sitting overseas. But with the advent of technology many things have changed in the past decade or so. Communication mediums have changed and have gone through major transformations and have become much more advanced and providing people with a cost effective way to connect worldwide. If we talk about telecommunication it has prevailed deep into the life of people. The reason why more and more people are opting for it is the affordability and the services that they get. Services like Virtual numbers are enabling businesses to provide their clients with numbers through which they can call and enquire without being charged with premium international rates. This not only creates a sense in the mind of the clients that the business has a local presence but also help in better business-client association. These services have curbed the need for businesses to set-up their local offices in countries where they operates and have their clients. For businesses it is very important for smooth proceeding of business operations to stay in touch with clients and giving direction to senior authorities. Not only businesses but individuals have found efficient mediums like conference calling that is helping them to stay in touch with their beloved ones whether they are holidaying or live far away. It would not be wrong to say that these services have brought significant changes in the way people used to converse. With these services the world has become a small place where nobody is far away. Thanks to the telecommunication advancements that have brought revolution to our lives. When conversing with people from different nationalities people generally feel the need for such services that enables them and their clients to stay connected without using their genuine numbers. The reason behind this is that it can create a problem when businesses do not have alternate number for clients to contact them and it is always not possible for people to pick-up calls every time because international time gap also makes it tougher. It is indeed a problem but with technological advancements made in the field of telecommunications businesses today can provide their clients with mediums through which they can stay connected. So what is that which can make it easier for businesses around the world to stay connected with their clients without having the need to provide their actual numbers? One element of telecommunication that has come to the rescue of businesses around the world is the virtual number service. 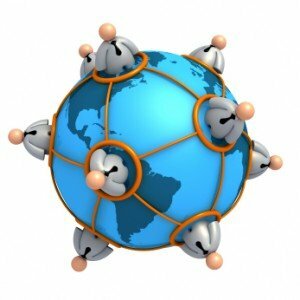 With virtual number service businesses can opt for virtual numbers for specific countries where they operates. The biggest advantage of this service is that it enables virtual call forwarding and whenever a client makes a call he is not charged with premium international call rates. With virtual number services businesses provide a significant platform to their clients where they can enquire and discuss about business proposals and quotations. Not only has this but virtual number call forwarding service reduces the need of setting-up local offices in countries where the business operates and helps it to acquire new business territories. One can imagine the cost of setting-up local offices in countries where the business operates and the inconveniency that the client would experience without a proper medium for conversing. The cost of availing virtual number service is nothing when compared to the hefty amount that otherwise would have spent on local offices around the world. With virtual number services the client also feels that the business has a local presence because the numbers are similar to their country’s dialing conventions. This helps in a better business-client association. Today these services are changing the way businesses used to cater to their clients. Today businesses are going global and there is a constant need to have a collaboration tool that can assist businesses to connect to their clients, partners and associates cost-effectively and conveniently. Many innovations and advancements in the field of telecommunications have contributed remarkably to businesses. Establish reliable communications within the organization is the goal. Today with telecommunication services you are just a click away from establishing a conversation. In the last decade or so the companies have understood the importance of having a sound communication system within the organization. With technological advancements various telephone service providers have become able to cater to the communication requirements of businesses and individuals. Today telephone services like toll free forwarding and virtual number services are in continuous demand by businesses. The reason behind this is the cost-effectiveness and affordability of these services. With virtual number service, businesses can acquire a local or toll free virtual phone number and have callers redirected to another phone in another country. This enables a business to create a phone presence easily in many cities and countries worldwide. With this service the caller feels that the business has a local office. This helps businesses because they need not spend a significant investment setting up local brick and mortar offices worldwide. They could simply activate a virtual phone number. 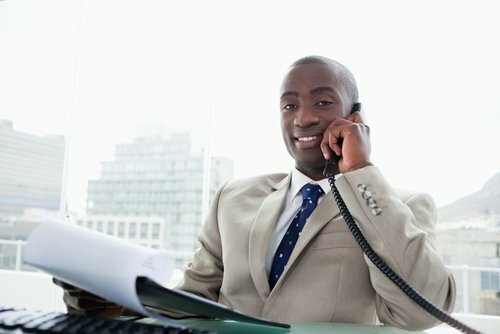 Many other telephone services like toll free forwarding and teleconferencing are helping businesses to curb the need to travel abroad to conduct meetings, give directions to senior authorities or to discuss business issues with partners. Today telecommunication services are bridging the gap between clients and businesses and helping them to connect better. There are many more services that telephone service providers offer and we cannot even imagine how beneficial they are and how they are changing our lives and making the world a smaller place. Whether you have your business or want to stay connected with your relatives, friends or beloved ones there is a constant need to find communication mediums that are cost-effective, convenient and which connect better. And the thing that has made it possible for millions of people around the globe is the technological innovations and advancements that have taken place in the past decade or so. Technology has made the world a small place because no matter where you live and what your geographical position is? You are never far away from people who matters to you. The services that have seen a great contribution from technological innovations in the recent years is the communication services. Today communication services have made it possible for people to stay connected with people all over the world. The part of communication services that has enhanced the chances of businesses to expand and go beyond the national boundaries to make their presence felt on the international platform is the telephone services. This is the reason that individuals and businesses are utilizing these services to cater their clients, partners and relatives sitting in various part of the world. 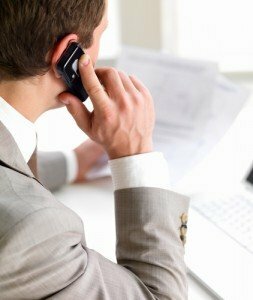 Telephone services like call forwarding service and virtual number call forwarding are in continuous demand by businesses and individuals because they are a great source of communicating around the globe. Today businesses have grown big and thus they need mediums through which they can have a proper co-ordination and message delivery network within their organization. It is indeed necessary for businesses around the world to have a sound communication system because any misinterpretation or a wrong message delivery can prove fatal to companies and organizations. 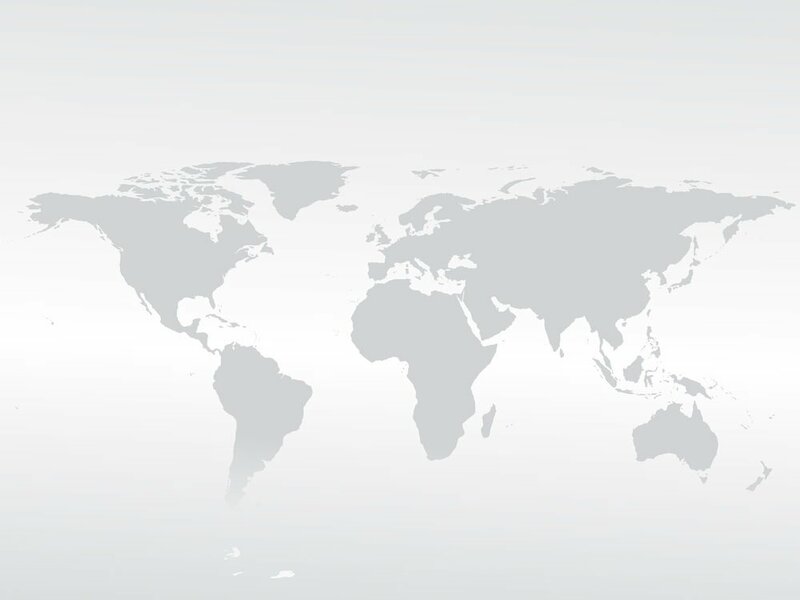 Virtual number call forwarding services enables its user to connect to their clients with different nationalities without the need of showing original number. In this the user takes an international toll free number for a particular country from where he wants to acquire clients and when the client makes a call he is not charged with premium international rates and thus the client feels that the business has a local presence. 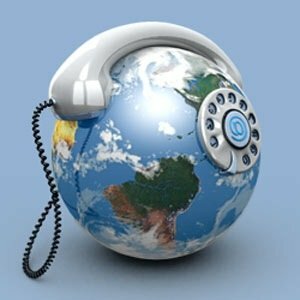 Call forwarding service reduces the cost of setting up a local office in various countries to cater clients. These services have greatly influenced businesses to make their presence felt local to clients without having the need for a local setup and thus helping businesses to grow and prosper. Everybody knows what technology has done to our world. We are surrounded by technological innovations and have become addicted to their uses. Gone are the days when it was hard to communicate with a person sitting in another corner of World. Today communication mediums are so advanced that it has enabled both businesses and individuals to stay connected frequently. Businesses are taking the help of communication sources to explore various ways to expand their business and go beyond national boundaries. The part of communication mediums that has greatly influenced the growth perspectives for businesses around the world is the teleconferencing services. These services have enabled businesses to establish conversation with clients, business partners and senior authorities sitting around the world. Previously it was a costly affair for businesses to travel around the world to conduct meetings with clients or to give directions to senior authorities regarding business operations. Teleconferencing services are contributing to the growth of businesses by providing them services like virtual phone number and virtual call forwarding. Not only are these but there are numerous other conference call services which have brought the whole world on a uniform platform where everybody is easily accessible. Virtual phone number is kind of service where an individual is assigned a particular calling code in accordance with the calling conventions of the country where he/she wants to establish a conversation. This service is helping businesses better because the access code which is flashed on the client’s telephone or cell is similar to the dialing conventions of his/her country. This creates a sense of familiarity in the mind of clients and also reduces the need to setup local offices to cater clients present all over the World. Today businesses are growing big but still it is not possible for them to establish their offices all round the world. This is where services like virtual call forwarding help businesses to deal with their clients by having conversation to discuss business issues. Although these services are benefitting businesses more but they are useful for individuals too. These services are cost-effective and convenient to use and helps individuals to stay connected with people who matters to them. Teleconferencing services have changed the way people use to communicate. Today no matter what is the geographical position of an individual he/she is not far away and is easily accessible.